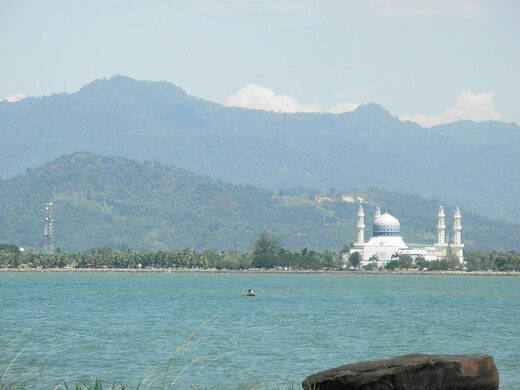 From a distance, the Kota Kinabalu City Mosque seems to float on top of the water. 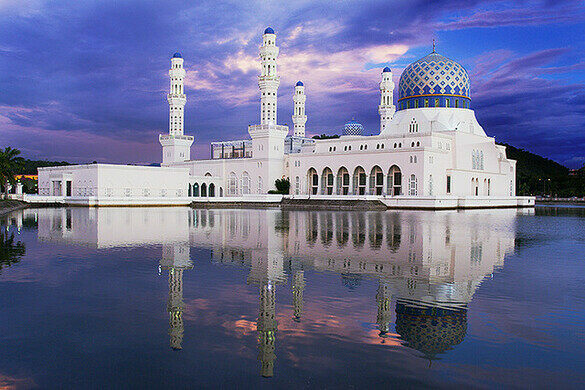 Although the optical illusion is created by a man-made lagoon nestled around the mosque, the building’s reflection in the cool blue water gives the fantastic mosque an air of mystery and beauty. 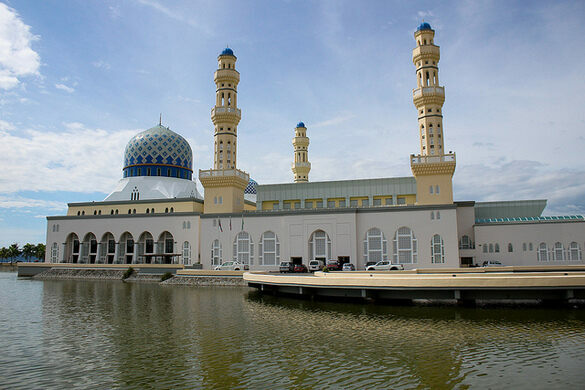 Built in 2000, after Kota Kinabalu became a city, the mosque can hold 12,000 worshippers at once. 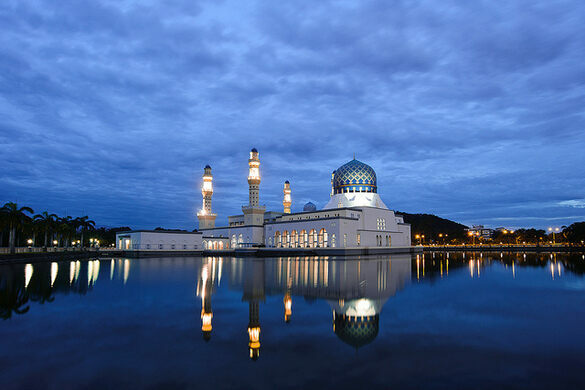 When the mosque is illuminated over the black water of Likas Bay, it is considered one of the most beautiful structures in the city and in the entire country of Malaysia. 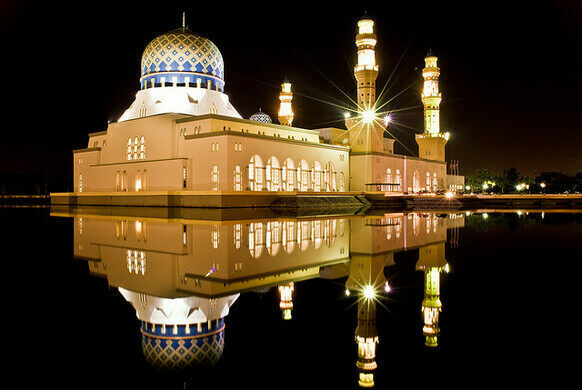 The mosque was designed to resemble the Prophet’s Mosque in Medina, which is the final resting place of Mohammad. 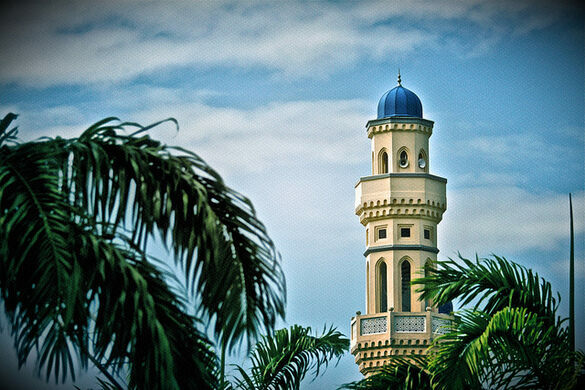 Sitting near the South China Sea, the mosque can be reached by public transportation from the city center of Kota Kinabalu. 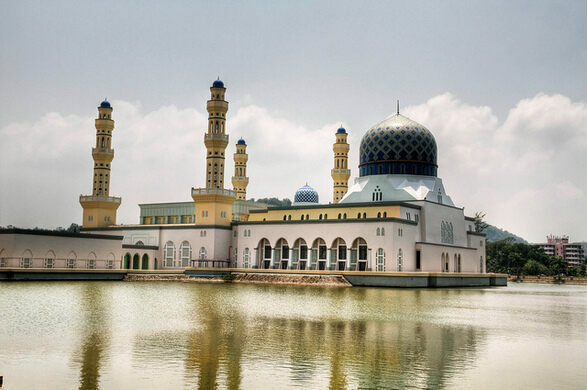 Four distinctly unique gardens commemorate the POWs who lost their lives during the Sandakan Death Marches of 1945. This tiny island in the South China Sea is crawling with venomous sea snakes.